I am playing catch-up with Photo-A-Day. I have missed: Chair, Garden, and today’s prompt, Lunch. 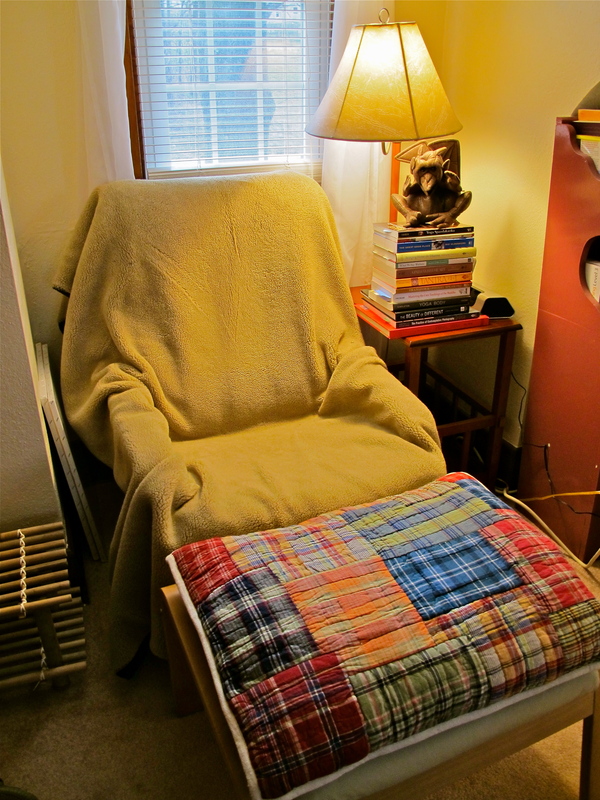 I don’t know, all I know is that when I sit in this chair, I start ruminating, or reading about things like that. This is my Space Chair. It’s in my bedroom, which means that it’s not in a public room in the house, so when I sit in it and read, and think, and write, and meditate, nobody else is in the room with me. I don’t have any electronics in my bedroom (except for my Zen alarm clock) so any electronic-y thing I bring in there is a deliberate choice. And I do bring electronics in there, namely my laptop. I write my 750 words there on most days. I read there. A few years ago I sat and did Holosync there every day for over 450 days. 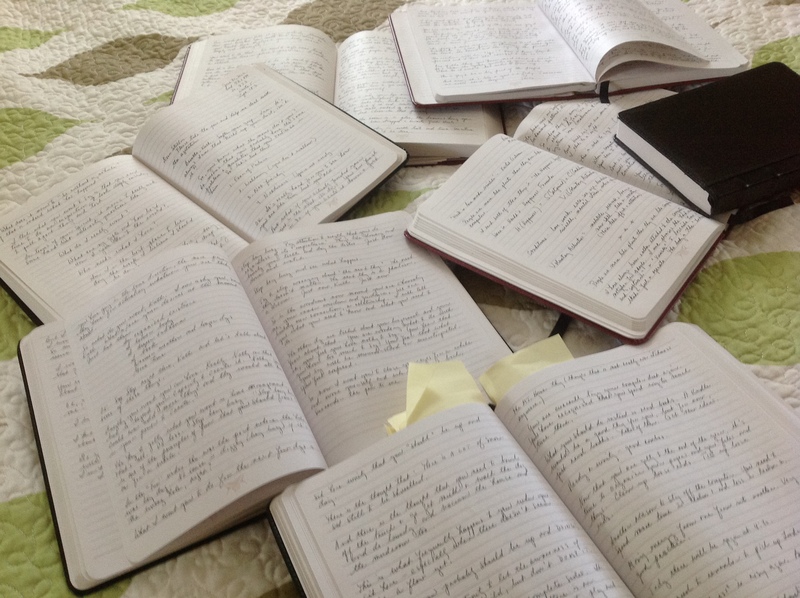 I scribble in countless journals while sitting in that chair. The chair itself is one of those Poang chairs from Ikea. My first Space Chair was a Papasan chair, but I upgraded. This Poang is very comfy and conducive to relaxation, especially with the ottoman. Virginia Woolf said that every woman needed a room of her own. I totally agree. But I think that every woman also needs a Space Chair in that Room of Her Own. Every person (not just women) need a place to go where they can shut the door and be alone. Everyone needs a room with a door that closes where it is possible to sit and be transported out of object consciousness and into that special kind of awareness where awareness itself becomes the main event. 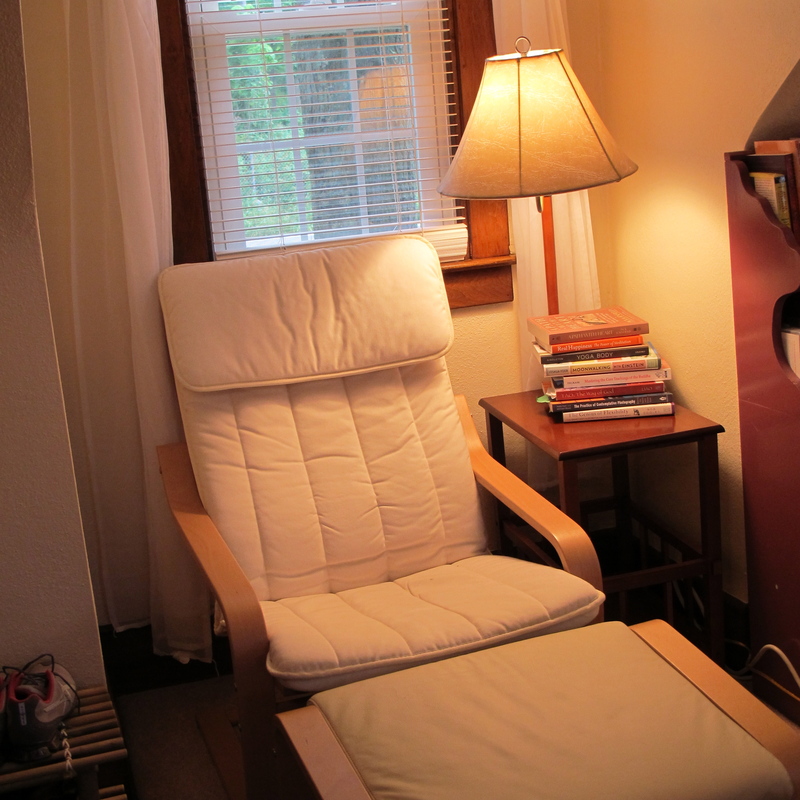 I have that chair too – same colour and everything (there’s even a huge pile of books sitting next to it!) And it’s the chair I photographed for the photo-a-day, so I kind of laughed when I read your post. Poang is the ‘in thang’!